Special limited edition splatter vinyl pressing of this career retrospective from one of the most dominating rappers in the game - DMX!Features exhilarating newly recorded versions of the hit singles "Where The Hood At," "Party Up (Up In Here)," "Whats My Name?," "X Gon Give It To Ya," "Ruff Ryders Anthem" and more! The blockbuster 2CD set from hip hop superstar DMX featuring newly recorded material plus an entire disc of supercharged remixes! 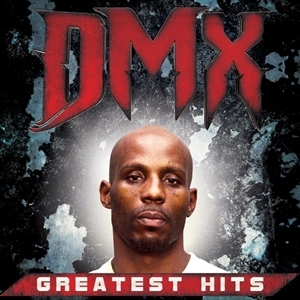 Features "Where The Hood At," "Party Up (Up In Here)," "Whats My Name?," "X Gon Give It To Ya," "Ruff Ryders Anthem" and more!Includes a second disc of hot remixes featuring the production talents of Mozart & Friends (Lady GaGa), Wunder Bros (Missy Elliot) and Guenter Schulz (ex-KMFDM) PLUS a 2016 track featuring Snoop Dogg and produced by Savant.